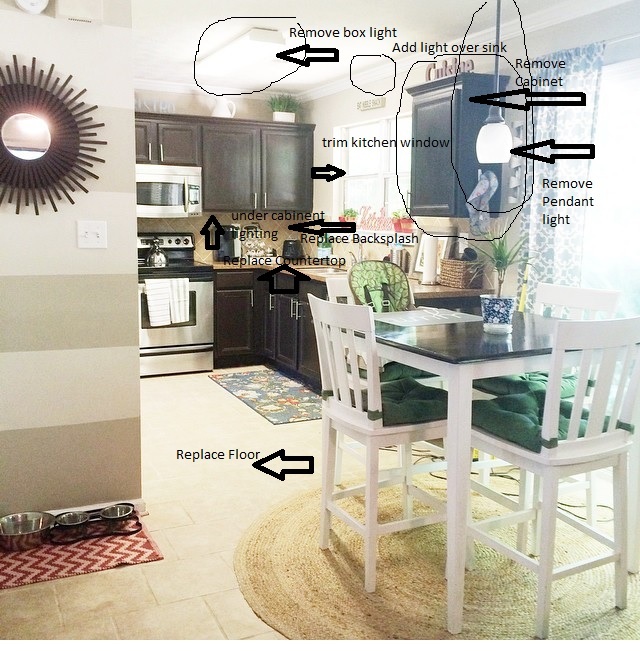 Live Pretty Kitchen: Changes Coming to the Kitchen! Hey there and happy end of April. I know that I owe you a #1room30days challenge post, but to be honest, I am behind. I thought that I would get some work done this past weekend making over my desk and file cabinet but it just didn’t happen. So I think my office will be more like 1 room 40 days or something like that, lol. But I am almost at the finish line I promise and I will definitely be back next week with an update. But in the midst of working on my office, where you can see the progress here, here, and here, my contractor has been making some serious lead way on the repairs in my home which I will update you guys on soon. The new floors are in and I am in love with them. I will share those next week. I am also happy to let you guys in on something that I had been wishing and hoping about since the whole situation regarding the leak in my home. You may remember that I mentioned in this post that I was hoping to make some additional changes since I would have a contractor working on repairs from the leak damage anyway. So me and my husband this was a better time than any to tackle a few things in relation to the kitchen. I still love my dark cabinets, but have never loved the dang counter! It’s just a bit to red and warm for my taste. Since the damage from the leak caused me to have to replace my kitchen flooring, I knew that I would not want to pick a floor based on my current countertops. I did that initially when I replaced this floor and just did not want to do that again. So we have decided to move forward with a new countertop! Woo hoo! But, I know that I don’t love my current backsplash either because I selected it based on my current counter and floors, so that has to go as well. So with those changes, I examined and figured I would love to make a few more changes to enhance the overall look. So what do you guys think about my plans. It’s not definitely not a full kitchen reno, but close enough for me. I will be back next week to share more about my inspiration for my kitchen updates and share some of the images with you all. I already shopped for granite and backsplash and have made my decision so I will share that next week during my inspiration post! I’m so excited. You can check out my inspiration and granite selection post here! We did something similar a few years back, and while not a total redo it made a huge impact! You won't regret it. Thanks Lauren, I am so excited! Thanks for stopping by! 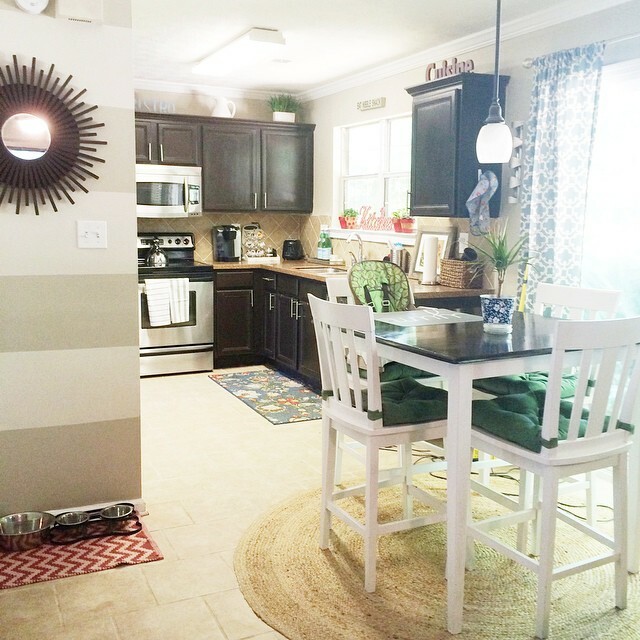 I think the changes you want to make in your kitchen will be a huge impact! Can't wait to see what you've selected! Thanks Katrina. I am so excited and nervous at the same time! It's going to look like a new kitchen Erin! So excited for you!